Tweco®, a leader in the design and manufacture of MIG welding guns and consumable parts, is pleased to introduce an expanded WeldSkill line of innovative, durable MIG guns. These new guns feature a patent-pending design that is easy to maneuver in various welding positions. 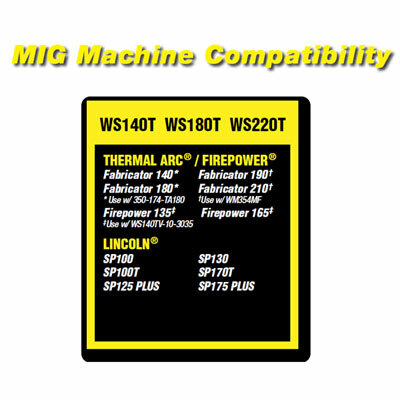 The new 140 Amp, 180 Amp and 220 Amp guns are perfect for farm, garage, hobby/DIY,artistic metal working, job shops, and maintenance and repair applications.